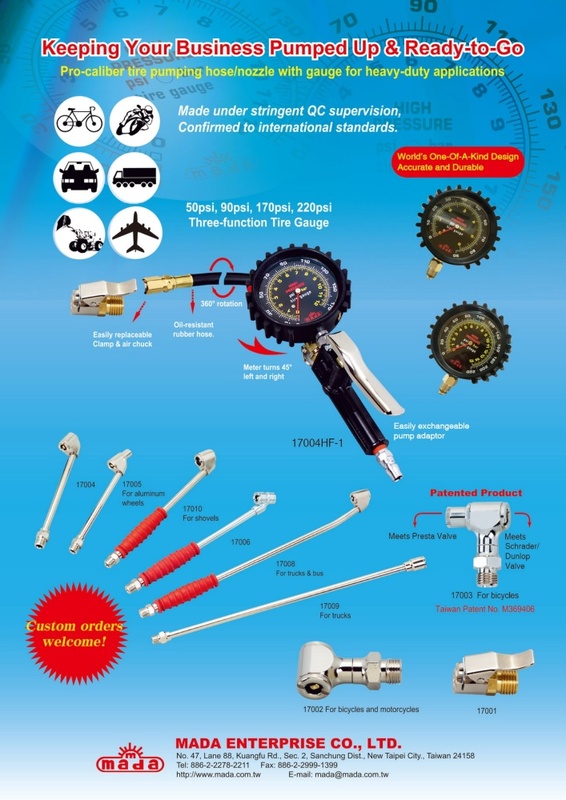 3 function tire pressure gauge - bear high pressure - deflation、inflation、pressure measurement - canall be achieved by pushing a single button ! welcome to order ! An experienced metallic item supplier backed by 20-plus years of specialized mechanical engineering know-how, we established our own brand MADA in 1997, focusing on manufacturing and exporting tire gauges and air nozzles for balls, bicycles (our bicycle air nozzles work in the U.S., Britain and France), motorcycles, vehicular equipment (esp. passenger cars and engineering vehicles), and aircraft. 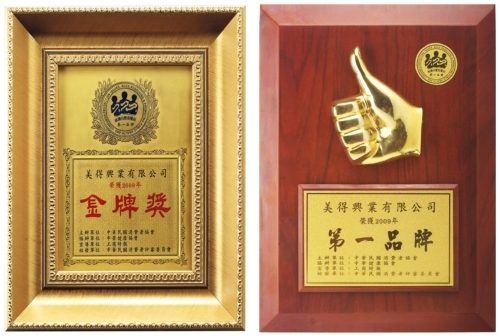 Our products are patented in Taiwan and Japan. We offer professional, high-quality products and guarantee 100% customer satisfaction backed by stringent pre-delivery inspections, which help to build solid reputation and trust among customers worldwide. Apart from mass-producing standard tire gauges and air nozzles, we also fill OEM orders of a minimum volume of 1,000pcs, and will continue product innovation and updating our website, offering more choices at competitive prices. Contact us for further info.